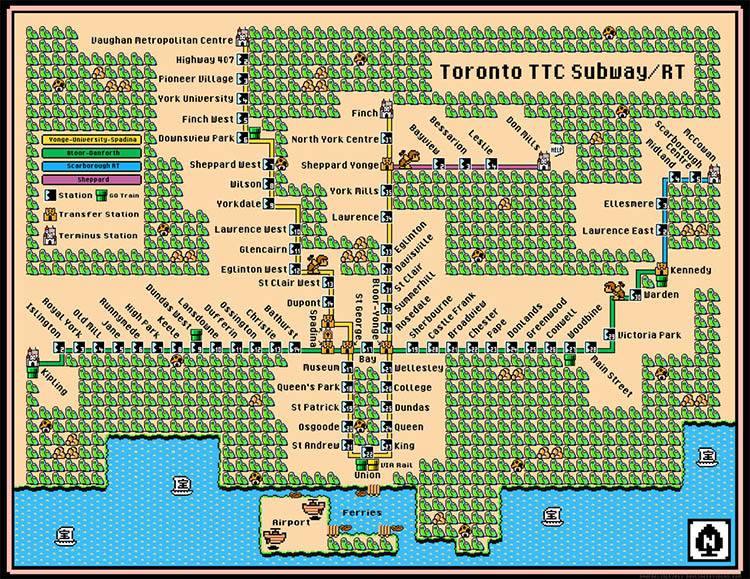 Some people just see stops en route to work when they look at a subway map. 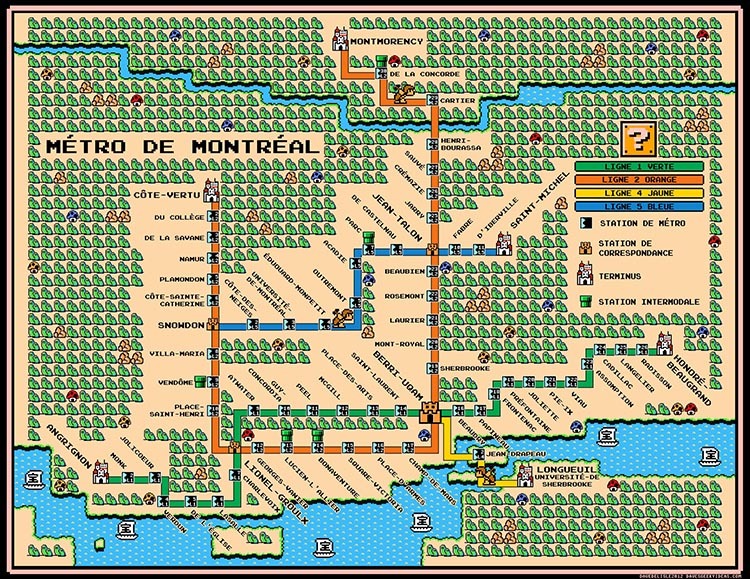 Canadian artist Dave Delisle of Dave’s Geeky Ideas thinks different. 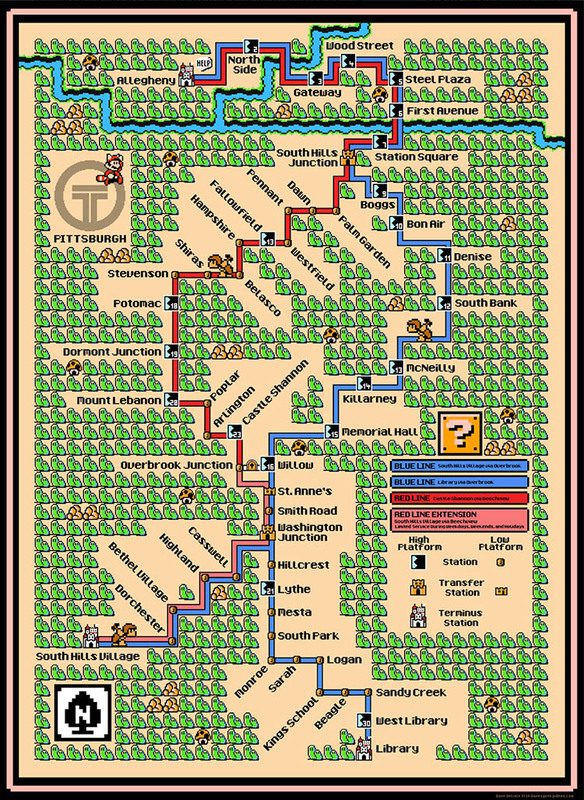 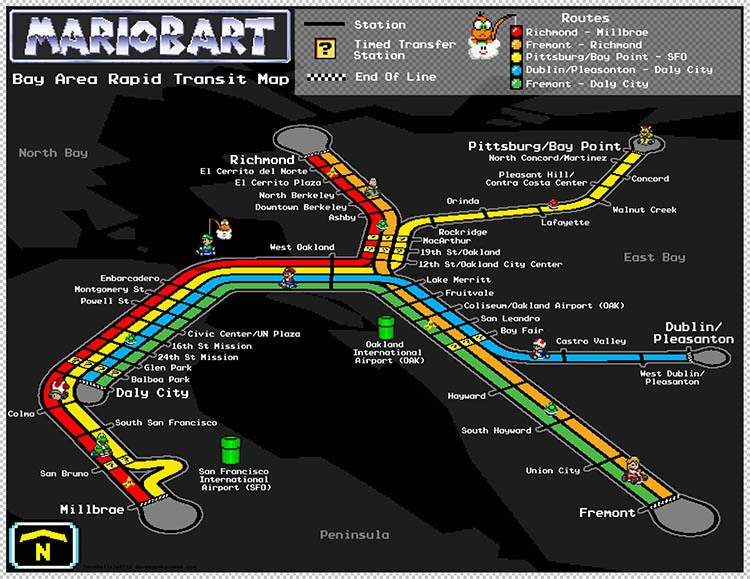 He has designed maps of major city subway systems from around the world in the style of Super Mario Bros. video games. 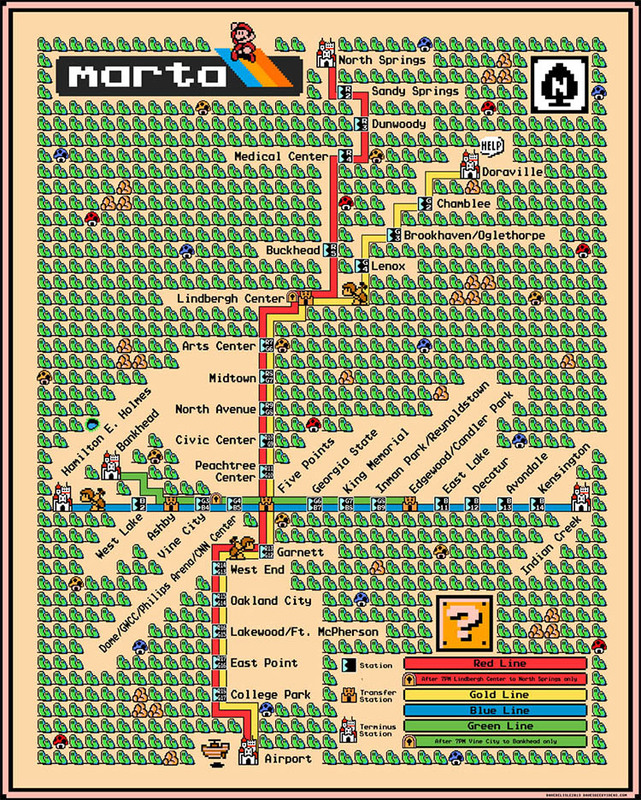 Not only can you marvel at them now, but you can have them as a full-sized poster from his site.